Medline offers the MED-GEL granular substance, which jellifies aspirated fluids in the Operating Theatre and Intensive Care Unit to facilitate safe disposal of waste. 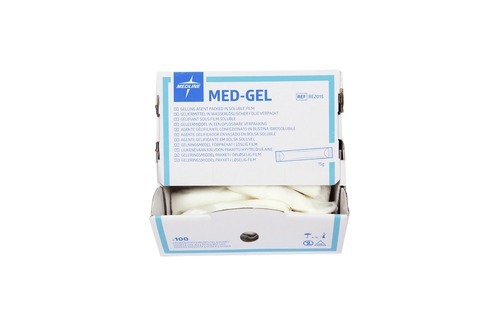 MED-Gel is also used in laboratories to solidify disposable liquid waste. The fluids are jellified after approximately 10 - 15 minutes. Dosage depends on the composition of the fluids. A high percentage of electrolytes in the solution typically requires a higher dosage.